The Interlake region of Manitoba is a place of inland oceans, beaches, endless outdoor recreational opportunities, heritage museums and agricultural history. In this region is the rural municipality of Woodlands and in this municipality is the town of Warren, Manitoba. This community is located just outside of Winnipeg. Here you will find opportunities to relax, have fun and take some beautiful photos. From the Interlake Trading Company's grain elevator to the Woodlands Pioneer Museum to kite surfing at Twin Beaches and discovering nature at Shoal Lake, photo opportunities abound. Gail McDonald is the manager of the Interlake Tourism Association. She said the small agriculturally based community of Warren has a population of about 750 people and has many amenities that attract people to visit or move to the area. RVwest sat down with McDonald to find out the best places in this area to take photographs. Look for the tallest building in town! This grain elevator was built in 1948 and touches the core of the agricultural community here, as it is one of the last wooden grain elevators, according to McDonald. The elevator was a northern destination of the Prairie Dog Central Railway, a heritage train. You can now take tours of the elevator. In addition, weddings, concerts and fundraisers are held here. "You can learn a lot about the agricultural history and what the grain and scale look like in a grain elevator," said McDonald. "You walk in and can still smell the grain dust. It's quite an amazing structure." The Warren Lions Park complex is situated right beside the historic grain elevator. The park includes a skate park and agricultural museum and has one magnificent tree that sits right in the middle of it all. "If you are taking photos at the park, use the elevator as a focal point," said McDonald. "There are wonderful opportunities to take photos here year-round. You can get some beautiful sunset shots to the northwest of the elevator and taking pictures of the magnificent tree in the middle of the park is great." McDonald also suggests getting some long shots with both the tree and the elevator in the photo. "Starting in the south end of the park, you can get a long shot all the way to the north and capture bits of the flowers and the park and see the huge grain elevator in the background," she said. "It's a wonderful way for a photographer to get a piece of the history and feeling of this small town." Two hours west of Warren. 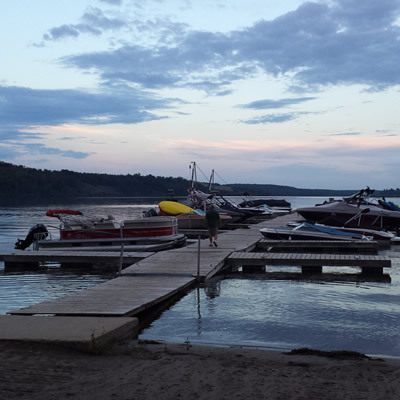 "If you are into natural settings and unspoiled areas, the Shoal Lake area is the place to come," said McDonald. "It is very peaceful and calm, with a multitude of birds." Sitting next to East Shoal Lake is also a piece of history that is great to see and to photograph. 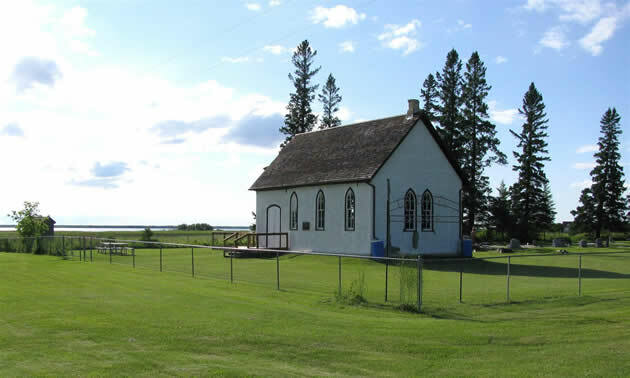 Built in 1884, the All Saints Anglican Church and cemetery are situated near East Shoal Lake in the Rural Municipality of Woodlands. Inside the church are the photographs and names of men from here who served in the First World War and the Second World War. The church is still in use today. "Walking around the lake, through the graveyard and seeing the church... it gives you a feel of the land and what it meant for those who settled here," McDonald said. If you're a bird photographer, McDonald said you need to be patient if you want close-ups. A tripod would also be beneficial. East Shoal Lake is easily accessible, but West Shoal Lake is where you want to go to get beautiful pictures of the sunrise over the water.